Dental City Ritter B Tray Covers are sized to fit Ritter B trays. They are constructed from heavy weight (extra thick) paper that impedes the flow of moisture and has low absorbency to minimize moisture seep-through, preventing cross contamination and protecting the surface below. 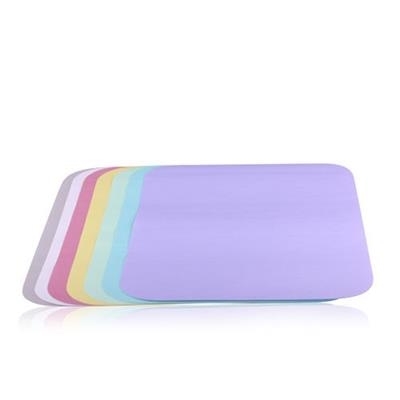 These are our customer favorite dental tray covers! Ritter B tray covers measure 8.5" x 12.25" and come in 8 colors. They are packaged 1,000/box and made in the USA. Color options include: White, Blue, Lavender, Green, Mauve, Yellow, Peach, and Beige.